The Methodist church has 100+ years of history serving the St. Francis and Oak Grove communities. We continue to serve, and we honor the legacy of those who came before us. The Methodist story in the St. Francis/Oak Grove area dates back to the arrival of the area’s first settlers: H.E. Seelye in 1855, Jacob Emmans in 1866, and Henry Leathers in 1883. These men and their wives, Jennie Bogedd Seelye, Maggie Emmans, and Molly Mae Leathers, banded together with community members to promote Sunday school, organize missions, and sponsor worship services in the homes of their members (often the Gillespies or Whitneys). This Christian concern and tradition of home worship services came long before the appointment of Rev. Edwin Bunce by the Methodist State Conference in 1882. Rev. Bunce served the church at Dyer’s Corner, as well as the small group in the St. Francis area. The congregation officially organized in 1890. Dwight Woodbury, a prominent community member, donated a lot on Bridge Street in St. Francis, on which a small church was built in 1891. The church building was dedicated on January 6, 1892 by its pastor, Rev. E.W. Stevens. A parsonage was built in 1893-97. Between 1940 and 1941, a full basement was added. Water and sanitary facilities were installed in both buildings in 1951-54, and other interior church improvements were made in 1955. ​While architectural plans were discussed and approved, the Methodist Church as a denomination was considering a new beginning. The name “United Methodist Church” dates back to April 1968, when the Methodist and Evangelical United Brethren denominations voted to merge. Together they adopted the new name, “United Methodist Church.” All churches of this denomination are now so designated worldwide. Ground breaking for our new church building was in August 1968. After its completion, the first worship service in the new location was on Palm Sunday of 1969. 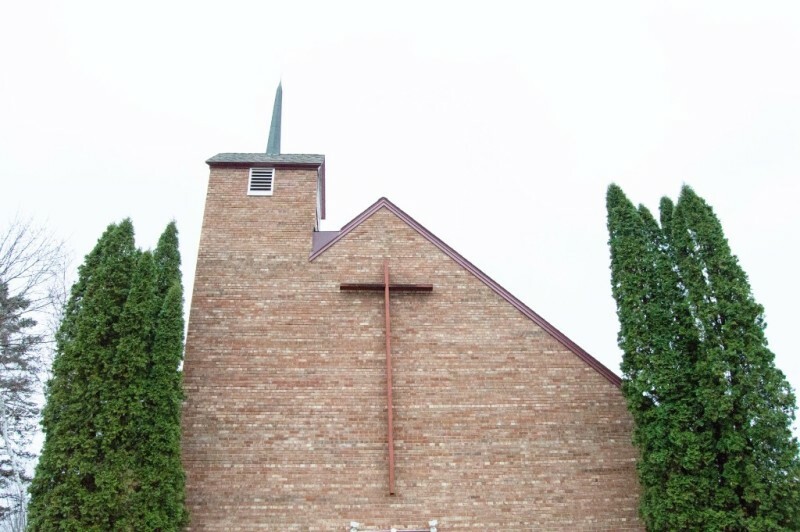 The church was consecrated on June 29, 1969, the service attended by District Superintendent, Paul O. Metzger and area Bishop, Paul A. Washburn, who spoke about “The Church God Is Building” from Matthew 16:13-20. A new parsonage was built in 1973-74. It was first occupied by the Rev. Mark Johnson, who moved in on February 15 1974. Since then, the church grounds have been landscaped, the Fellowship Hall has been improved with the addition of insulation and paneling, the ceiling has been lowered, and a 14x17 library was constructed with donated labor and materials. The library was dedicated during the morning worship service on October 15, 1978. On July 1, 1979, our first full-time pastor, Rev. Wayne L. Walther was appointed. Church membership has since grown to over 215 members. In 1982, the year of our 100th Anniversary, the administrative board of the church selected a theme – “Behold, I am with you always.” - Matthew 28:20. These words of Jesus remind us as much now as they did 30 years ago: God’s presence and power have shaped our history, nurtures our present, and assures our future.